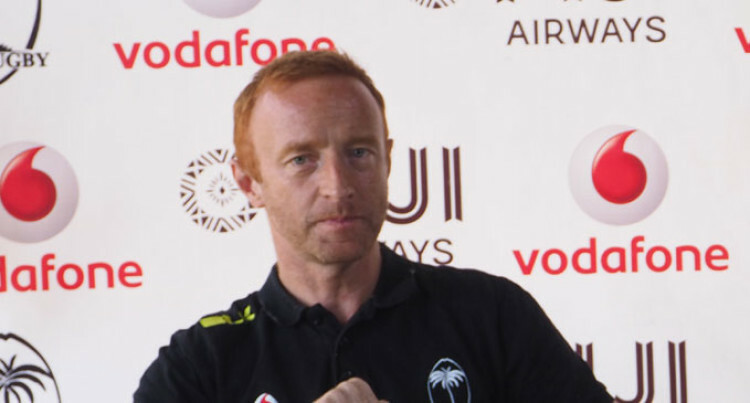 As the countdown begins to the start of the 2014/2015 HSBC IRB Sevens World Series on the Gold Coast next month, Vodafone Fiji 7s head coach Ben Ryan reflected on the past 12 months and what lay ahead for Fiji on the road to Rio 2016. “It’s been a good few weeks. I particularly enjoyed the weekend we just had in Ovalau. In the six hard games that both the Fiji sides played, it gave me the chance to try out combinations, to see how they reacted in the hot and hard conditions and also the pressure put on them by the local sides that were looking for a scalp that gave terrific physical encounters and it’s given me clarity. “I would like to say I came into the job 12 months ago in a very different environment, a couple of days before the tournament and I hadn’t prepared the team. I tiptoed in I think would be the best way to describe my first few weeks in the job as Fiji’s head coach. “I was careful about culture, understanding how everything worked both on and off the field and 12 months on I’ve probably got more clarity than I’ve ever had as a coach of the game. I’ve also got very good clarity now on what we need to do to achieve our main goal this season which is top four in the World Series. “But I don’t want to creep into the top four. I want to bound in or catapult into the top four of the world 7s series this year so that we take into what will be some really good inertia to take into what will be the Olympic year in 2016. So it’s an exciting time in what is probably the biggest year in 7s history around the globe. “The first 12 players to be named I hope will typify one word by the end of the Gold Coast 7s and that is uncompromising. We’ve got hard edge to this team as the leaders we want to go forward. I know we’re going to have some hard battles against the teams that are well-resourced and better prepared. Ryan named his two 12-man squads on Monday at the Uprising Beach Resort in Pacific Harbour for the Gold Coast 7s in Brisbane and the Oceania 7s to be hosted in Noosa, Australia. Fiji is drawn with host Australia, Scotland and Portugal. Meanwhile, all 24 players are expected to report for camp tomorrow at the Uprising Beach Resort which has become a regular haven for the side since Ryan’s appointment last year.